For stanza 1, the disobedience of Adam and the immediate cost is documented in Genesis 3:14-24. The full eventual cost, and God’s deliverance, is explained by Paul in Romans 5:12-21. Stanza 2 refers to the Ark of mercy that rode the flood, a reference to the narrative in Genesis 6:1-8. Stanza 3’s reference to the “little child” and all that was regained through him is found in Matthew 1 and 2, Luke 2, and a deeper explanation of his significance in John 1. The “new Jerusalem” referred to in stanza 5 is clarified in Revelation 21.
because of human pride and arrogance. so in Christ all will be made alive. through Jesus our Lord. Amen. Merciful God, we keep spoiling good life by our sin. We make each day a judgment day. We lie and gossip and turn our backs on you. Each day a judgment day. We “worship” you but can’t remember anything we said. But in Jesus Christ you have renewed us. Each day a forgiveness day till Jesus comes again. Amen. Presumably named after the Michigan city and river, DETROIT was published anony­mously in Ananias Davisson's shape-note tune book Supplement to Kentucky Harmony (1820). The tune is credited to "Bradshaw" in Virginia Harmony (1831) and Southern Harmony (1835). Emily R. Brink harmonized the tune in 1986. Thought to be an Appalachian adaptation of an old English folk song, DETROIT has a fine melodic curve over its two long lines, ascending and then descending. Feel two beats per measure. Already in the 1970s Erik Routley considered Fred Pratt Green (b. Roby, Lancashire, England, September 2, 1903; d. October 22, 2000) to be the most important British hymn writer since Charles Wesley, and most commentators regard Green as the leader of the British "hymn explosion." Green was educated at Didsbury Theological College, Manchester, England, and in 1928 began forty years of ministry in the Methodist Church, serving churches mainly in the Yorkshire and London areas. A playwright and poet, he published his works in numerous periodicals. His poetry was also published collectively in three volumes, including The Skating Parson (1963) and The Old Couple (1976). Though he had written a few hymns earlier, Green started writing prolifically after 1966, when he joined a committee to prepare the Methodist hymnal supplement Hymns and Songs (1969) and was asked to submit hymn texts for subjects that were not well represented. His hymn texts, numbering over three hundred, have appeared in most recent hymnals and supplements and have been collected in 26 Hymns (1971), The Hymns and Ballads of Fred Pratt Green (1982), and Later Hymns and Ballads (1989). In 1982, Green was honored as a Fellow of the Hymn Society in the United States and Canada. Carol Bechtel has served as professor of Old Testament at Western Theological Seminary in Holland, Michigan, since 1994. She is a graduate of Hope College and Western Theological Seminary, and she received her Ph.D. in Old Testament from Yale University. Bechtel preaches and teaches widely and is the author of several books, including Esther: A Commentary for Teaching and Preaching (Interpretation, WJK, 2002). She is a General Synod Professor of Theology in the Reformed Church in America and has served as president of the RCA’s General Synod (1998/1999) and as moderator of its General Synod Council (1999/2000). She lives in Holland, Michigan, with her husband, Tom Mullens, where they enjoy a growing group of children and grandchildren. Her interests include singing, cooking, gardening, and the Celtic harp. 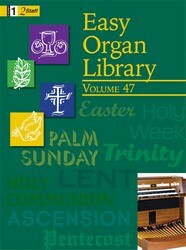 She served on the editorial committee for Psalms for All Seasons (2012) and for Lift Up Your Hearts (2013). Emily Ruth Brink (b. 1940, Grand Rapids, MI) graduated from Calvin College (BA in Music), the University of Michigan (MM in Church Music) and Northwestern University, Evanston, IL (PhD in Music Theory). She taught at Manhattan (Montana) Christian School (1964-1966), the State University of New York (New Paltz; 1966-1967), Trinity Christian College (Palos Heights, IL; 1967-1972), and the University of Illinois (Campaign/Urbana; 1974-1983), also serving as organist and choir director in both Episcopal and Christian Reformed churches in those areas. In 1977 she was appointed to the Psalter Hymnal Revision Committee, and in 1983 moved to Grand Rapids in a change of careers to become the first music and worship editor of the Christian Reformed Church. She was the founding editor of Reformed Worship; editor of the Psalter Hymnal (1987), Songs for LiFE (1994), Sing! 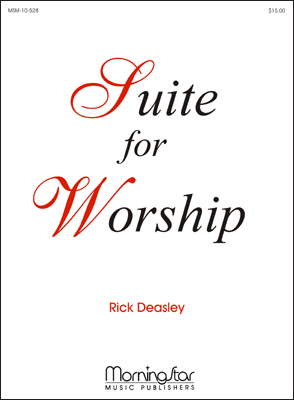 A New Creation (2001, 2002); co-editor with Bert Polman of The Psalter Hymnal Handbook (1998), and editor of many other worship-related publications. Since 1984 she has been an adjunct professor at Calvin Theological Seminary, directing the seminary choir in the first years, and introducing courses on church music and worship before being granted emeritus status in 2009. Her ecumenical work began with the Hymn Society in the United States and Canada, becoming the first woman president (1990-1992); in 2006 she was named a Fellow of the society in recognition of distinguished services to hymnody and hymnology. She served in both local and national offices of the American Guild of Organists, and has been a member for more than twenty years of the Consultation on Common Texts, serving as chair from 2008 to 2014. In 2002, she became a Senior Research Fellow at the Calvin Institute of Christian Worship, contributing to The Worship Sourcebook and other publications; serving as program chair of the annual Symposium on Worship; and helping to plan and participate in worship conferences in more than fifteen countries.